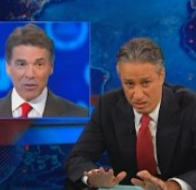 Mediaite has a clip from “The Daily Show” covering the most recent Republican presidential debate, during which Rick Perry kept calling Herman Cain “brother.” This could be written off as just a Perryism, except he referred to Mitt Romney several times as “sir.” Stewart had some advice for Perry – STOP IT. To see the clip, click here. 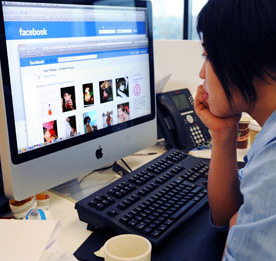 On Geekosystem: researchers have discovered that there is a correlation between a person’s number of Facebook friends and differences in their brain structure. 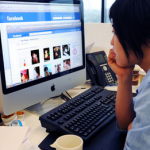 Whether Facebook is exercising the parts of the brain that control social interaction, or the brain is influencing the way individuals use Facebook is unclear, but there is definitely a correlation. To read the full post, click here. Styleite is here to help you out with your holiday wish list a little early this year. The item that they can’t wait for is a scarf by House of Waris. The scarves are made by craftsmen in India who work with cashmere, silk and cotton silk to create embroidered and hand-dyed designs. See some of the scarves here. Sportsgrid reports on a football team walkout that occurred during a play at a Connecticut high school. 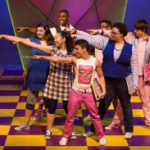 The objectionable content in the play was apparently a kiss between two male characters, which prompted several audience members (identifiable as football players from their jerseys) to leave the theater. Is anyone else shocked that a high school play went forward with a gay kiss? Good on the administration at Hartford Public High School! Get the full post here. Gossip Cop reports on a rumor that Sarah Michelle Gellar is pregnant with her second child, a development that might be a teensy bit inconvenient for the actress after she made her triumphant return to television on the CW this fall. Good thing that, according to Gossip Cop, the rumors are unfounded! To read the full post, click here. 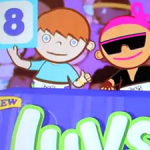 The Mary Sue covers a survey from Consumerist on the worst tropes in commercials. Some of the things that made the list are women being portrayed as intolerable shrews, and pooping constests. Ad agencies, take note! Quit it with all the pooping contest ads! (??????????????) To read the full post, click here. 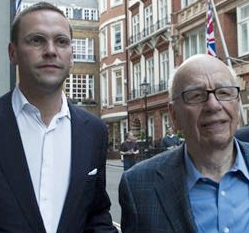 On Mogulite: rumor has it that Rupert Murdoch and James Murdoch haaaaate each other! 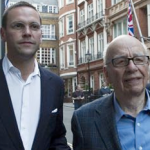 To read about more Murdoch family drama, click here.